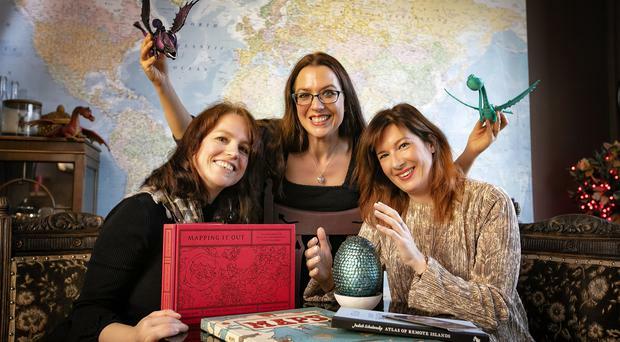 Festival artist Rachael B Kelly, Festival Director Rachel Kennedy and festival artist Myra Zepf. The sixth annual C.S. Lewis festival launches on Friday in Belfast with more than 70 events championing the Belfast-born author. The festival, curated by Northern Irish author Jan Carson, runs from November 3-7 across Belfast and includes film screenings, talks and debates, events for children and families, visual art, literature, workshops and more. The theme of this year's festival is ‘Of this and Other Worlds’, taken from C.S. Lewis' essay collection of the same name, and features a series of bespoke events 're-imagining the changing landscape of east Belfast'. Festival Director Rachel Kennedy commented: “We are delighted to bring the 6th annual C.S. Lewis Festival to venues across Belfast. Jan Carson has curated a wonderful range of exciting, innovative and imaginative events around the theme ‘Of This and Other Worlds.’ Each year we seek to showcase the wide and varied works of Lewis and we believe we have created something very special for this year’s audiences." 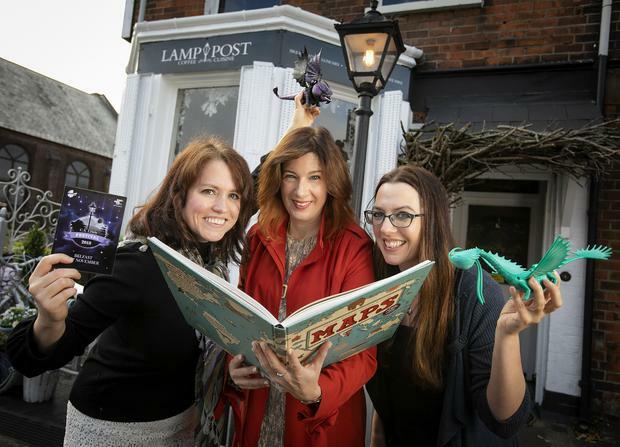 Helping to launch the festival at The Lamp Post Café, one of the festival venues were, from left, festival artists Rachael B Kelly and Myra Zepf along with Festival Director Rachel Kennedy.